There is an oft-cited best practice for conflict resolution called the speaker-listener technique—in which the speaker explains their position and the listener repeats back to the speaker what he heard him say. Then the speaker and listener switch roles. After both sides have had a chance to express themselves, and the other side has repeated what they heard, both parties are ready to resolve their differences with greater understanding of each other. The Wall Street Journal, 27 July 2010, in an article called “Fighting Happily Ever After” promotes the speaker-listener technique for improving couples communications and making happier, longer-lasting relationships. I believe that the speaker-listener technique works not only because it improves the actual information flow and understanding between people, but also because it improves the perception that people have towards each other—from being adversarial to being collaborative. In the sheer act of reaching out to others through genuine listening and understanding, we establish the trust of the other person that we want to work toward a win-win solution, as opposed to a clobber the other guy with what you want to do, and go home victorious. In contrast, think of how many times people don’t really talk with each other, but rather at each other. When this occurs, there is very little true interaction of the parties—instead it is a dump by one on the other. This is particularly of concern to an organization when the speaker is in a position of authority and the listener has legitimate concerns that don’t get heard or taken seriously. For example, when the boss (as speaker) “orders” his/her employees to action instead of engaging and discussing with them, the employees (as listener) may never really understand why they are being asked to perform as told (what the plan is) or even permitted to discuss how best they can proceed (what the governance is). Here, there is no real two-way engagement. Rather, workers are related to by their superiors as automatons or chess pieces rather than as true value-add people to the mission/organization. In the end, it is not very fulfilling for either party—more than that when it comes to architecture, governance, and execution, we frequently end up with lousy plans, decisions, and poorly performing investments. Instead, think about the potential when employers and employees work together as a team to solve problems. With leaders facilitating strategic discussions and engaging with their staffs in open dialogue to innovate and seeking everyone’s input, ideas, reactions. Here employees not only know the plan and understand it, but are part of its development. Further, people are not just told what to do, but they can suggest “from the front lines” what needs to be done and work with others from a governance model on where this fits in the larger organizational context. Speaking—listening—and understating each other is the essence of good conflict management and of treating people with decency and respect. Moreover, it is not just for couple relationship building, but also for developing strong organizational bonds and successfully planning and execution. To me, creating a framework for conflict resolution and improved communication is an important part of what good enterprise architecture and IT governance is all about in the organization. Yet we don’t often talk about these human factors in technology settings. Rather the focus is on the end state, the tool, the more impersonal technical aspects of IT implementation and compliance. With architecture—we work together to articulate a strategic roadmap for the organization; this provides the goals, objectives, initiatives, and milestones that we work towards in concert. With governance—we listen to each other and understand new requirements, their strategic alignment, return on investment, and the portfolio management of them. We listen, we discuss, we understand, and we make IT investment decisions accordingly. Nevertheless, at this time the focus in IT is still heavily weighted toward operations. Research on IT employee morale shows that we need to better incorporate and mature our human capital management practices. We need to improve how we speak with, listen to and build understanding of others not only because that is the right thing to do, but because that will enable us to achieve better end results. This week I was riding home on the metro one day and I witnessed this strange course of events. Typically, on the DC metro, there is not a lot of panhandling when compared with a city like NY—in fact, it is practically a rarity on the Washington, DC Metro. So you can sort of image my surprise, when I entered the metro this week and immediately hear a young man begging for money (i.e. “a beggar”) coming down one end of the train car. What made this particular panhandling scene really stand out though was that the beggar, who appeared young and able bodied, had a serious speech impairment. He kept trying to say something to the effect that he was homeless and needed $16 for a bed to sleep in that night. But he was mumbling, stuttering, and barely able to get the words out, but clearly he needed help and people on the train were giving him money, especially one young family, where the father put some bills into his daughter’s hand who reached out to the beggar, who gratefully grabbed the money and continued trying to repeat the words that seemed stuck in his mouth. Then, things turned stranger, because there was another young man in a wheelchair with his back to me—so that I could not see what was wrong with him. And all of a sudden this disabled person starts yelling at the beggar to “speak up, get it out, and tell me what’s wrong” – again and again in this horrendous mocking way to the beggar who could barely speak. The beggar kept trying to get the words out that he was homeless and needed $16 for a bed for the night—but he struggled again and again—mumbling and falling all over himself trying ask for help. And no matter how hard he tried; the disabled man in the wheelchair kept taunting him—as if holding out a bone in front of a dog, but never letting him get any. If the beggar couldn’t speak clearly and ask for the money, the disabled man wasn’t going to give him any and on top of it was going to shame him even more than he already was in front of the crowded train car. It was devastating to watch; yet everyone did. Somehow, no one could say anything to the disabled man about his behavior—because he was disabled. After the beggar made it past the wheelchair, staring at the man who mocked him, and made it down to the other end of the car, the beggar turned around one last time, looked at the disabled man in disbelief—like how of all people could you do this to me—and left the train. At that point, the man in the wheelchair turned his chair and I saw he had only one leg. And he was angry. Obviously angry at the world for his loss and pain and determined to let loose on whomever crossed his path, even a speech-impaired beggar. I thought about this human tragedy during and long after, and am still obviously thinking about it. I suppose I expect to find situations where the strong prey on the weak—that’s like Darwin’s theory of the “survival of the fittest”, but I was taken aback by seeing one person down on their luck “getting it” from someone else who was also in pain and suffering. Somehow, I guess I just thought—maybe naively—that someone who knew “how it felt” would have more mercy on someone else in similar shoes. I come away with a life lesson about leadership and management that for those fortunate enough to achieve these positions, you should never take them for granted. They are not an entitlement because of hard work, education, or other achievements; rather these positions are a privilege, and this teaches me that you should never look down on others or rise up on the backs of others. Each person, each life in this world is valuable. And every person deserves respect and should give respect—whether they are begging and speech-impaired or disabled and missing a leg. We all need to have mercy on one another. The world can be a harsh place indeed. These "21 Suggestions for Success" by H. Jackson Brown Jr. are lessons to live by and lead with. Worthy of posting on the blog, in the office, and referring to again and again. 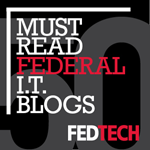 Nice video on cloud computing in the federal government. The leaders, planners, architects, and consultants in the proverbial ivory tower have become a poignant metaphor for what ails our organizations. The elitist “thinkers” go into seclusion, come up with the way ahead for the organization, and then proclaim to everyone else what should be done and how it should be done—to be successful. How nice. The “know-it-alls” tell everyone else (who obviously don’t know anything) how to do their jobs. Isn’t that empowering (not!)? Harvard Business Review (July-August 2010) has a great article called “The Execution Trap” about the failure of the traditional strategy-execution model where executives dictate the strategy and expect everyone below to mechanically carry it out. The strategy-execution model is analogous to the human body, where the brain instructs the body parts what to do. The executives choose what to do and the employees are treated as the brainless doers. Typically executives take advantage of this separation of strategy and execution by patting themselves on the back for a “brilliant strategy” when results are good, but blaming the employees for “failed execution” when results come in poor. Of course, in this thoughtless and thankless management model, employees feel disconnected, helpless, hopeless, and “invariably, employees decide simply to punch their time cards rather than reflect on how to make things work better for their corporation and its customers.” In the management model, employees are not true partners with leadership and they know it and act accordingly. As a result, leadership turns to hiring outside consultants rather than working with their own organization, making what appears as “unilateral and arbitrary” decisions and this ends up alienating employees even further. It becomes a vicious cycle of alienation and hostility, until the entire capacity to strategize and execute completely breaks down. The metaphor here is of a whitewater river, where upstream choices set the context for those downstream. But the key is that “senior managers empower workers by allowing them to use their best judgment in the scenarios they encounter,” rather than just throwing a playbook of policies and procedures at them to follow dutifully and mindlessly—without application, deviation, or even emotion. In the choice-cascade model, “because downstream choices are valued, and feedback is encouraged, the framework enables employees to send information back upstream” and as such employees play an important role in the initial strategy development. The big difference in the two models is in the support that we can expect to get from our employees. In the strategy-execution model, where executives pit themselves against employees, you end up with employees that are alienated and do only what they have to do. In contrast, in the choice-cascade model, where executive and employees team to develop the strategy and then empower employees at every level to execute on it—responsibly and with a sense of ownership—everyone not only does what they are told, but they do what needs to be done to be jointly successful. Which organization would you want to work in? In the government, just getting an “app winner” doesn’t necessarily mean you have a “winning app.” But that’s not stopping us “govies” from making progress! As we all know, the Apple iStore has become hugely successful, with over 225,000 apps and the Android Market with almost 90,000 apps. These marketplaces have grown fast and furiously because there is a simple and direct road from building the app to commercializing it. In the case of Apple, for example, I understand that the developer walks away with 70% of the revenue, Apple gets 30%, and the consumer can simply download the apps and start using it. Presto! The government has attempted to capitalize on this apps development strategy by putting government data out there (i.e. data.gov) and letting the developers do their thing (i.e. create apps that are supposed to be useful to citizens). In distinction to the private sector, the government doesn’t have a marketplace where developers simply make their apps “available” for use. While in the Apple store, any developer can post an app for use, in the government there is no open store like that. To spur apps development, a number of government agencies have been hosting contests for best applications, but despite the fanfare, many do not get past the initial stage. Whether this changes at some point down the road, I do not know, but it seems like something for government procurement specialists to look at, because there may be an opportunity here to save money and serve taxpayers more effectively. Nevertheless, there are signs that government interest in developing apps through contests remains strong. For example, “Apps for Army,” a contest for Army personnel, launched on March 1. In a similar vein, the General Services Administration recently announced that they are using “ChallengePost” to announce contests and have the public suggest, discuss, and rate ideas. This is now being used for AppsForHealthyKids.com, a competition sponsored by First Lady Michelle Obama as part of her important campaign to end childhood obesity. Overall, there is a lot of innovation out there in government, and a strong desire to collaborate with the public. DC and San Francisco and other major cities as well as the federal government are taking the conversation about apps development to the next level in terms of governance best practices for getting value from them and ultimately bringing the apps to the users who need them. Leaders have a choice about the messages they convey to their followers—they can empower people to take ownership and sometimes risk, or they can promote “CYA” as the corporate mantra. This is the subject of a new article in Psychology Today (July/August 2010), “Just Don’t Do It,” by Dr. Art Markman. Especially in a tough economy, people can easily get timid in the workplace because of the “omission bias.” Everyone is afraid of losing prestige, power, and even their paychecks, if they but open their mouths or make a mistake. And if leaders do not intervene, the result can be employee complacency and inaction. What a waste of our organization’s most precious asset—people! Part of the problem is that organizations frown on failure, which is a necessary component of learning. We blame people for every mistake rather than celebrating their willingness to try. So is blame all bad? Of course not, because accountability and the assignment of responsibility go together. However, there is a tendency to distort the tool of accountability and take it too far. “The blame game” prevents leaders from harnessing people’s creativity and productivity. We need to ask ourselves what it is that we really want from our organizations. We can improve our organization’s engagement with their people by building trust versus suspicion, inclusion versus exclusion, and action versus inaction. I am fascinated by unusual uses of technology. And in fact, that’s what I love about technology—is that it literally applies to every aspect of our lives. In a sense, I think of technology as one of G-d’s precious gifts to mankind to better the world—when it's used for good—such as for improving communications, curing illness, and inventing new materials. So now technology is striking again... but in an area that you wouldn’t necessarily expect. “In 2012, Montreal will unveil an $8.2 million [4 mile] tube network to service a downtown arts district.” The trash system called Envac is already operational in other cities such as Barcelona, London, and Stockholm. It incorporates separate inlets/chutes for waste, recycling, and compost; sensors that relay load information to system operators; large industrial fans that can crank up from 45 mph to gale force to flush obstructions through a subterranean slipstream; and automated software that directs the trash to appropriate dumpsters in central collection facilities for transport to landfills, recycling centers, and composting plants; And the Canadian system will be controlled remotely from Envac headquarters in Stockholm 3600 miles away. I was surprised and excited to see such an innovative use of technology for such a seemingly mundane task as garbage removal (i.e. I wouldn’t normally associate garbage and technology, but this article gave me a new reason to think more broadly on this topic). Truly, technology is a game-changer. And we can think about everything we do, question it, reinvent it, and make for a better future. The only condition is that we look beyond the surface of how we do things do things today and envision them anew for tomorrow.